Most people know of the startling risks that are associated with motorcycle riding. If the rider does not wear the appropriate gear, the risks are significantly higher. Make sure you contact an attorney if you have been injured in a motorcycle accident that was caused by another person’s negligence. 1. In most cases, motorcyclists are more exposed and have a greater potential to severe general bodily injury than those in car accidents. 2. Motorcycles accounted nearly 3 percent of all registered motor vehicles in 2006. 3. 4,810 people perished in motorcycle accidents in 2006 nationwide, and in 2008, it was 5,290. 4. Motorcycle accident victims are sometimes awarded higher damages for pain and suffering beyond damages for actual medical costs or lost wages, than car accidents. 5. The death rate for motorcycle riders in 2006 was 5 1/2 times the death rate for passenger car occupants per registered vehicle, according to the latest data from National Highway Traffic Safety Administration. 6. There are 7.1 million motorcycles on the road today, about 1 million more than 5 years ago. 7. 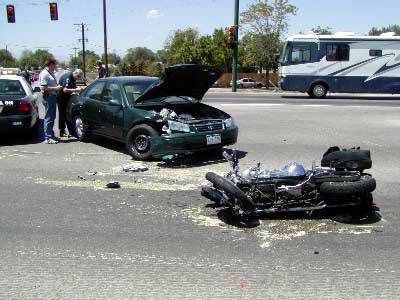 In 2010, 14 percent of all traffic accident deaths involved motorcycles. If you have been injured in a motorcycle accident in Washington State, contact Chris Davis at Davis Law Group. Schedule your free consultation now, (206) 727-4000.